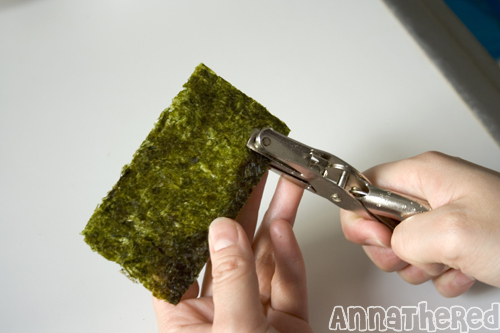 Anyway, I still wanted to do a how-to on something simple, so I was looking at my old bento, and decided to do this one. 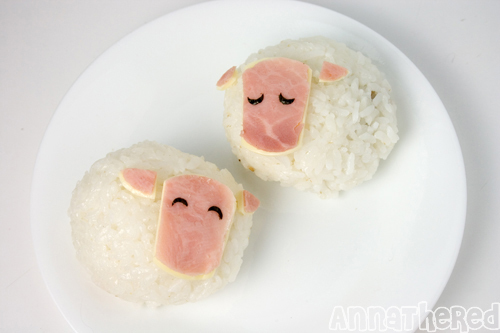 This is something I made for my only original bento “Farm bento.” It’s sooo easy and you don’t need too many ingredients, and with right tools, it’s even easier! I made this bento a long time ago. The sheep are on the left side. 1. 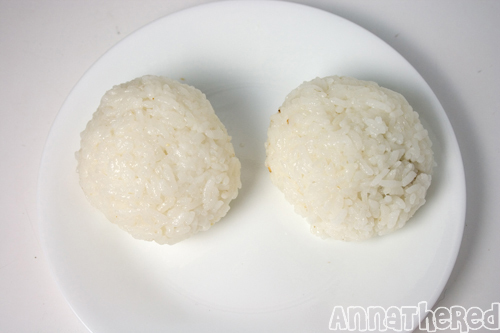 Make a rice ball. 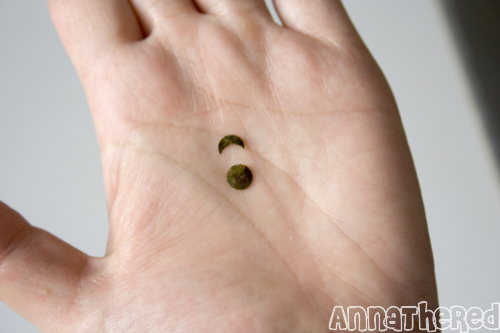 (you can put anything you want inside rice ball) Don’t hold the rice ball too tightly when you’re making it. It makes the sheep look fluffier that way. 2. Cut ham (or cheddar cheese) for the face part. I used a round bottle cap to cut the ham first, and cut the sides of the circle off. I also cut cheese in the same shape as the ham. 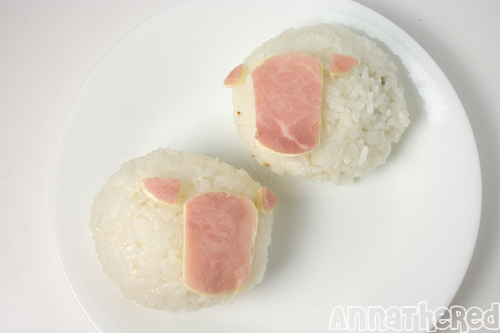 It makes the ham to stand out a bit more, but this is optional. 3. Cut ham (and cheese if you like) for the ear parts. 4. 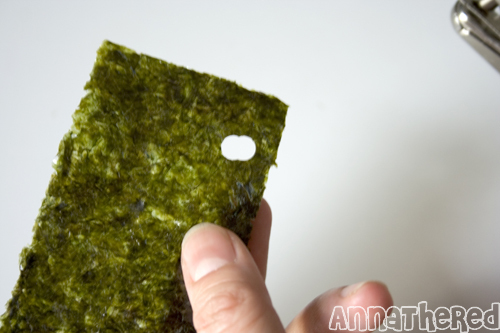 Cut seaweed for the eyes. 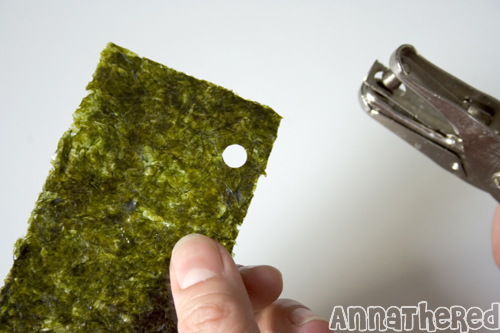 I used a hole punch to make a hole in the seaweed, then slide the punch a little bit and punched it again to make ” C ” shaped seaweed. Good thing about this sheep is that you can make them big or small. You can make one big one, or herd of small ones!